Our Story — Cape Charles Candy Co.
Phillip, Jordan, Eva, our realtor, and the crew. Cape Charles Candy Company was estabilished by Phillip and Jordan Dail in 2018. This is our story. Our discovery of Cape Charles was by accident when our usual family vacation spot was not available. After discovering Cape Charles as a possible vacation spot we spent a wonderful week vacation in the picturesque town. Almost immediately after our stay we began dreaming of owning our own historic home in Cape Charles. A few years later, our dream became a reality and we purchased a vacation home in town. 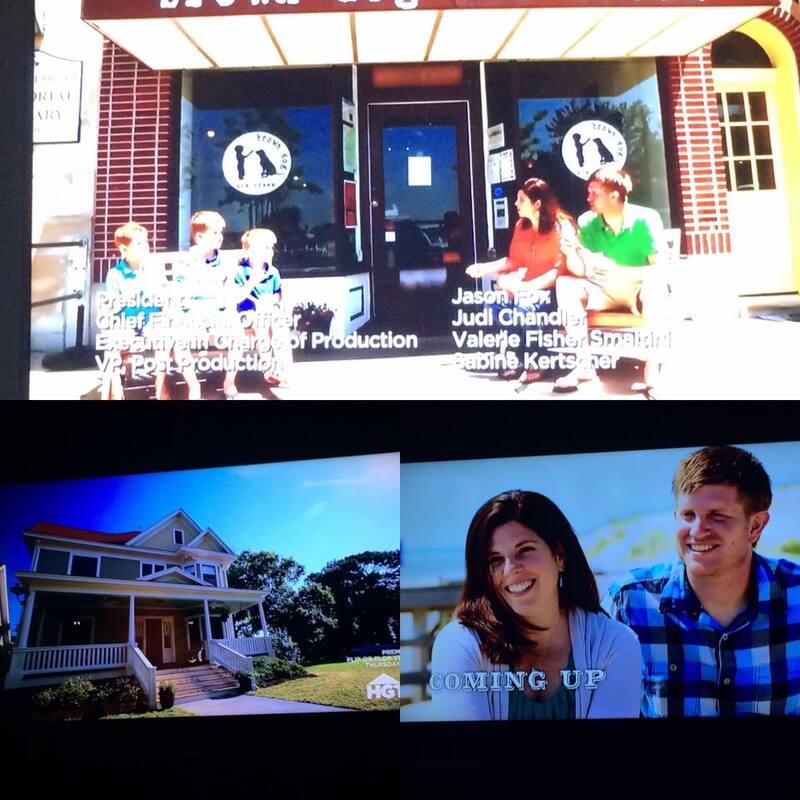 Our realtor was contacted by producers of the HGTV show, Beach Front Bargain Hunt, and we were chosen to be featured on one of the episodes. "Down by the Chesapeake" aired in April 2017. Ironically, life began to change dramatically around the time we were filming the show and within a year we decided to move to Cape Charles full time and open a candy store. We are excited to start this new chapter as permanent residents of Cape Charles and begin a new adventure on Mason Avenue as Cape Charles Candy Company. Thanks for stopping by and we look forward to seeing you in our store soon.